Home for the San Antonio Art League & Museum (SAALM) is a venerable building in the heart of the King William Historic District. Built in 1896, this intimate house-turned-museum and gallery now houses over 600 works in its permanent collection, which focuses on Texas artists. Works in all media - including paintings, drawings, prints and photographs, ceramics and sculpture - are available for public viewing. Revolving contemporary exhibits highlight both local and regional artists, and represent the unique work of diverse Texas talent. Notable Texan artists such as Robert and Julian Onderdonk, José Arpa, Emma Richardson Cherry, E. G. Eisenlohr, Martha Mood, Charles Umlauf, and Amy Freeman Lee are represented in the league's diverse and highly respected collection. The San Antonio Art League is an all volunteer non-profit organization that is supported by its membership and by donations. 130 King William originally served as a carriage house for a doctor's home. In 1926, it was converted into a duplex. The property remained the family home until 1949. Then, times gave way to degeneration, marked by empty aging mansions and absentee owners. 130 King William was sold, and remodeled for use as a chiropractic office. In 1970, new owners transformed it in a style more consistent with the emerging neighborhood aesthetic. 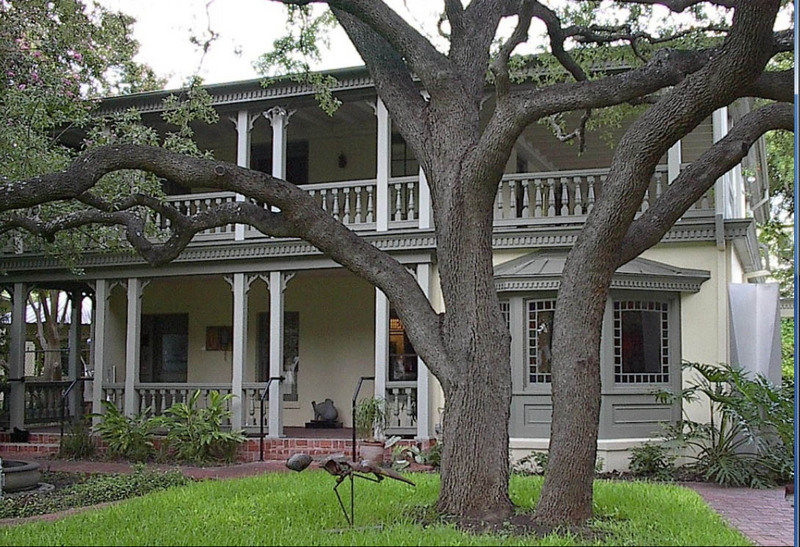 The King William area has experienced a renaissance and now enjoys the status of an Historic District. To read more about the history of 130 King William, follow this link.